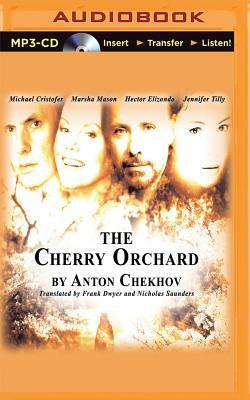 The Cherry Orchard (MP3 CD) | The Drama Book Shop, Inc.
Chekhov's masterful last play is a work of timeless, bittersweet beauty about the fading fortunes of an aristocratic Russian family and their struggle to maintain their status in a changing world. Translated and adapted by Frank Dwyer and Nicholas Saunders. Directed by Rosalind Ayres. Recorded before a live audience.